S. Ryan Wingrove is an associate attorney at Holsinger, Clark & Armstrong, P.C. Ms. Wingrove, an Indiana, Pennsylvania, native, is a graduate of Indiana Senior High School's Class of 2008. In 2012, she obtained her Bachelors of Art degree from the University of Miami with a double major in political science and history accompanied by a dual minor in Sociology and English. After obtaining her undergraduate degree, she relocated back to Western Pennsylvania and began her post-graduate studies at the University of Pittsburgh's School of Law. While attending law school, Ms. Wingrove was actively involved with the Elder Law Clinic, where she advised clients and assisted them with their estate planning needs. She also worked as an intern at Holsinger, Clark & Armstrong prior to earning her degree and becoming licensed. Ms. Wingrove obtained her law degree from the University of Pittsburgh School of Law in 2015 and became licensed to practice law in the Commonwealth of Pennsylvania that same year. Prior to joining Holsinger, Clark & Armstrong, Ms. Wingrove served as a judicial law clerk to the Honorable Valarie Costanzo of the Washington County Court of Common Pleas. 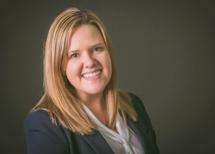 Ms. Wingrove's principal areas of practice include real estate law, estate planning and administration, and litigation.